Finally finished the Socks! | Feel Better Ky – Embody Your Life! 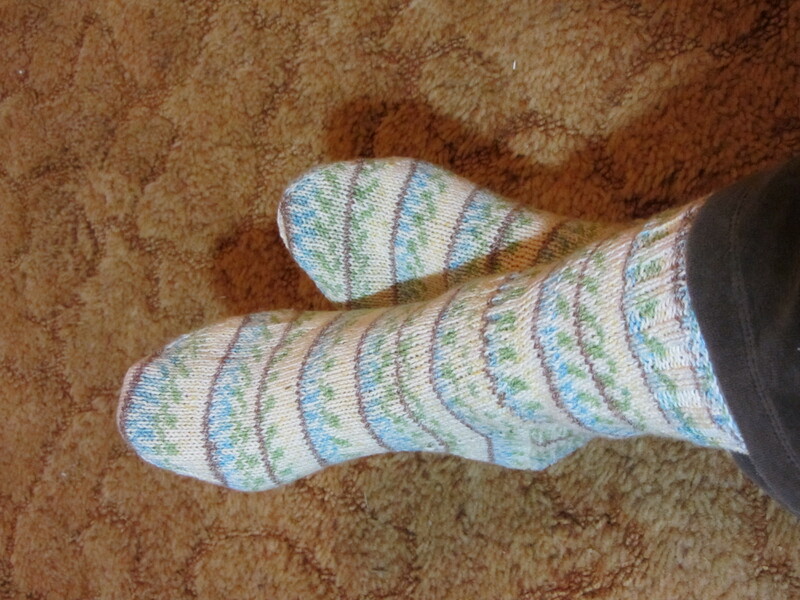 I finally finished the socks! Goodness knows how long they have been on my needles. A year? longer? Of course I immediately began another pair… this time I went up to a needle size 1.5 and using Conjoined Creations Flat Feet yarn. I am amazed at how much faster this pair is knitting… I’ve already turned the heel on the first sock! If I don’t set these down and let them languish…. this pair should be done much sooner. What projects are you working on? Let me know in the comments what you’ve been up to. Of course I also have a shawl in progress and the (infamous) dressing gown (still languishing) … and boxes of fiber waiting to spin…. I’ve been expressing my creative self through movement and writing lately… not as much making actual “things.” How is your creative self faring in the monochrome of winter? Feeling any color hunger? I am ready for the return of the colors of spring. This entry was posted in Creative Life - Life as Art and tagged Crafts, creative, Knitting, Sock. Bookmark the permalink. 2 Responses to Finally finished the Socks! This pattern is adorable! it was worth the wait for them! Thanks Hannah! I’m enjoying them.